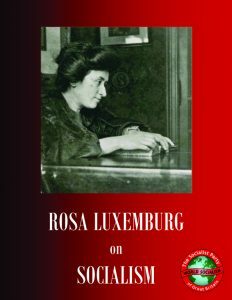 This pamphlet has been published to mark the centenary of the death (murder) of Rosa Luxemburg after the ill-fated and ill-advised Spartacist uprising in Germany in January 1919. The pamphlet examines her contribution to socialist theory, especially her analysis of the so-called ‘right of nations to self-determination’ as the demand of a national capitalist class to have its own state and so unworthy of socialist or working class support. 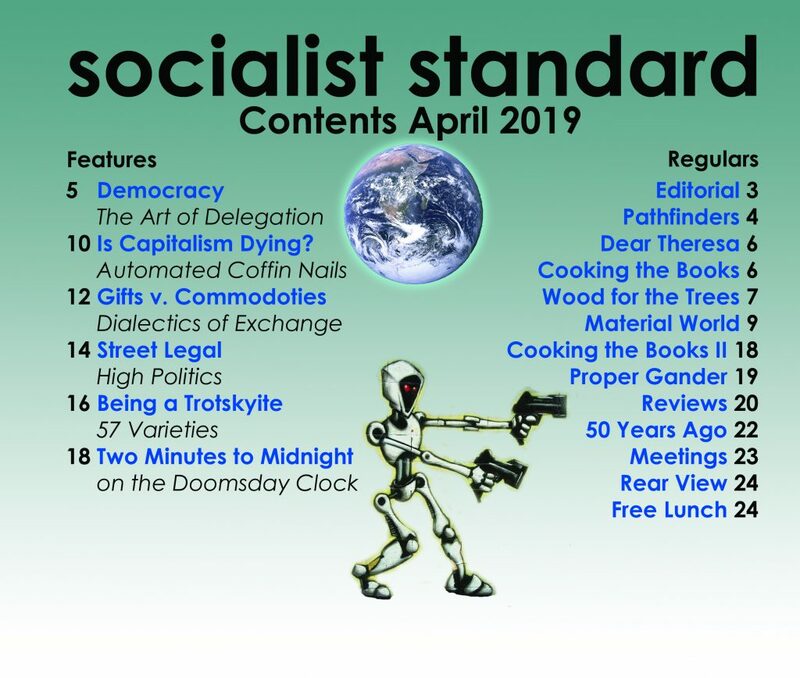 It also brings out her insistence that socialism cannot be established by a conscious minority leading a merely discontented majority whether in an insurrection, as envisaged by Lenin and Trotsky, or in a parliamentary election, as envisaged by Labourites and Social Democrats. Socialism, she argued, could only be established by conscious majority action and participation, not excluding, contrary to the anarchists and other anti-electionists, sending delegates into parliament. 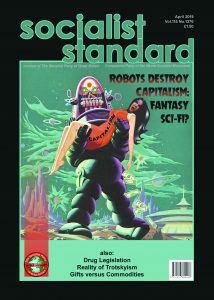 On the other hand, the pamphlet explains the fallacy at the basis of her theory that capitalism could not exist without external, non-capitalist markets and would collapse economically at the point when all these had been exhausted. Not that this requires theoretical refutation as this point was reached years ago yet the capitalist economic system is still functioning. Also discussed is her ambiguous position on reforms. While in her Reform or Revolution pamphlet she powerfully argued that socialism could not come about through a series of social reforms enacted by parliament, she was nevertheless in favour of a socialist party having a minimum programme of social and political reforms to be achieved under capitalism as well as the maximum programme of winning control of political power to establish socialism as the common ownership and democratic control of the mean of production. In Britain we in the Socialist Party always rejected this, arguing that it would lead to a party which did so attracting the support of those who only wanted the reforms and becoming their prisoner, ending up a mere party of democratic and social reform. To be fair, Luxemburg did begin to realise this a few months before she died when analysing what had gone wrong with the German Social Democratic Party. There is an unfortunate error on page 38 which has her explaining ‘to the National assembly’ when in fact she was explaining in an article on the National Assembly. Also, the second quote that follows, mentioning Lenin, is not from the same article but from another from the same month in which she criticised some of the actions of the Bolshevik government in Russia.